- Elder, what meaning does the prayer rope (komboschoini) have? - The prayer rope is an inheritance, a blessing, which was left to us by the Holy Fathers. And for this alone, it has great worth. You see, when someone's grandfather leaves him a meaningless object as an inheritance, he keeps it like a talisman, how much more should we keep the prayer rope as an inheritance of the Holy Fathers! - Elder, what do the 33, 50, 100 and 300 knots mean on prayer ropes? - Only the number 33 is symbolic, for it symbolizes the 33 years that Christ lived upon the earth. The other numbers simply help us count the prostrations that we do or how many times we say the prayer. 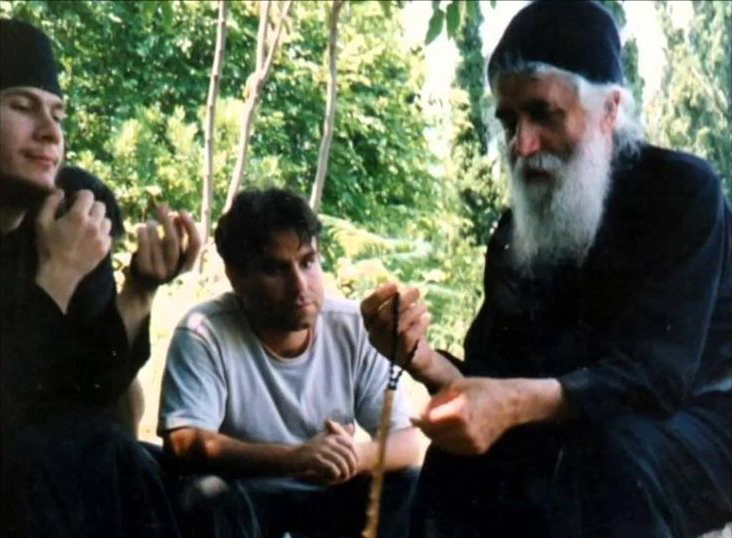 - Elder, when I hold my prayer rope, and say the prayer mechanically, is there a danger of vainglory [ανθρωπαρέσκειας]? - If you use the prayer rope externally, out of vainglory, even though your hands start to peel, it does not benefit you at all. It will only bring you fatigue, and the illusion that you are supposedly pursuing noetic prayer. - Elder, I'm not used to carrying the prayer rope. - You should carry the prayer rope, so that you might not forget the prayer, which should work internally, within the heart. When of course you exit your cell, you should remember that the enemy is ready to fight you. Thus, imitate the good soldier, who exits the barracks always with his automatic weapon “at hand”. The prayer rope has a great power, and is the weapon of the monk, and its knots are bullets, which [when fired at the feet of the demons] make their sandals dance.